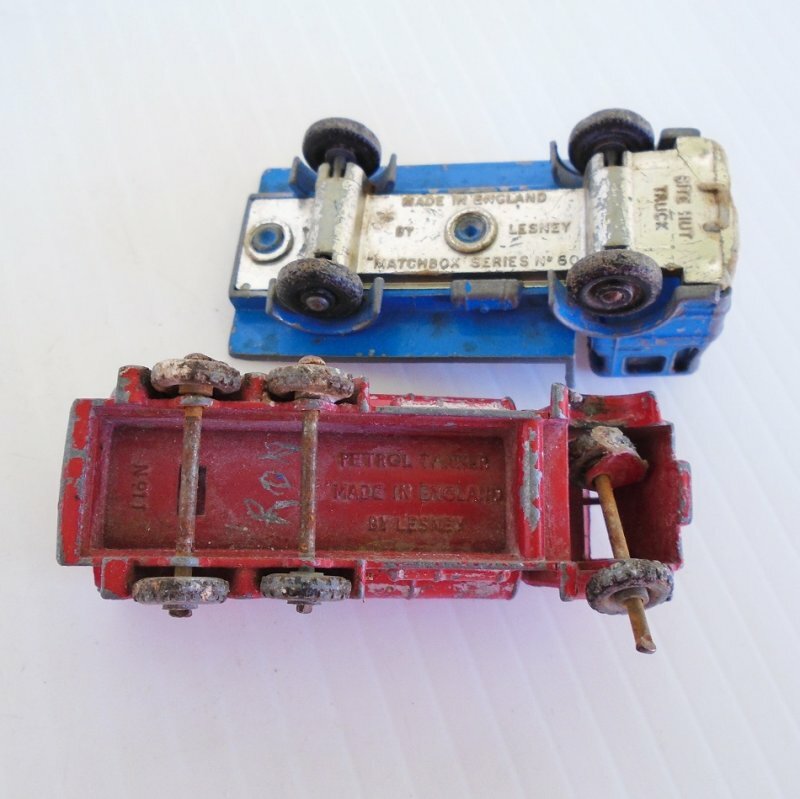 Two 1960s vehicles from Lesney Matchbox. Petrol Tanker number 11 and Site Hut Truck number 60. Old and well played with. These two Lesney die cast trucks were purchased at an estate sale. They both measure about 2.5 inches long and both were made in England. Both were well played with and one needs TLC. Both has spots of paint missing. 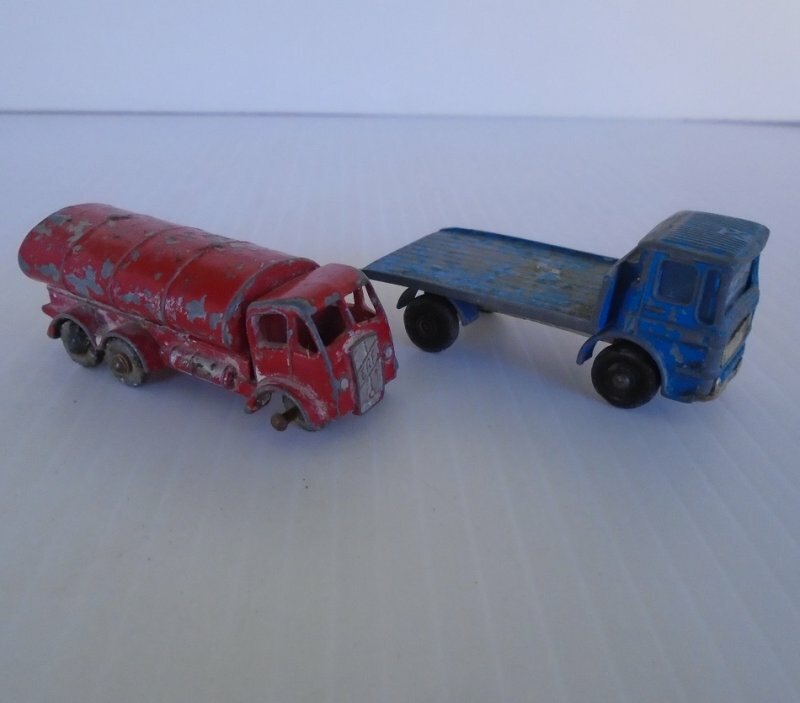 The red truck is titled "Petrol Tanker" and was made in 1961. It is marked as number 11. The front says ERF. This is the one that needs TLC and needs to be repaired. As you can see from my photo that shows the underside, it has breakage on the passenger side front bar that holds the wheel in place. The piece is there, and I'd imagine it just needs a small spot weld to put it back in place. Also, there is no back piece. The missing back piece would have said "Esso". 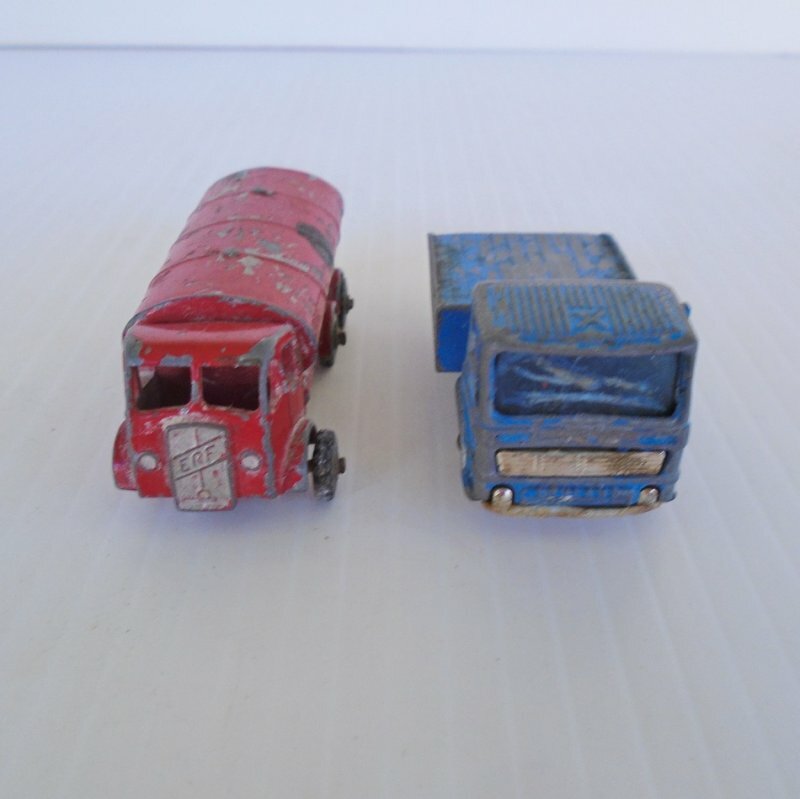 The blue truck is titled a "Site Hut Truck" and is marked both Lesney and Matchbox. It is marked as number 60. My research found several statements that said it was made in 1966. It is sometimes referred to as a flatbed delivery truck. Buyer to pay USPS First Class Mail Parcel delivery charges of $4.60.